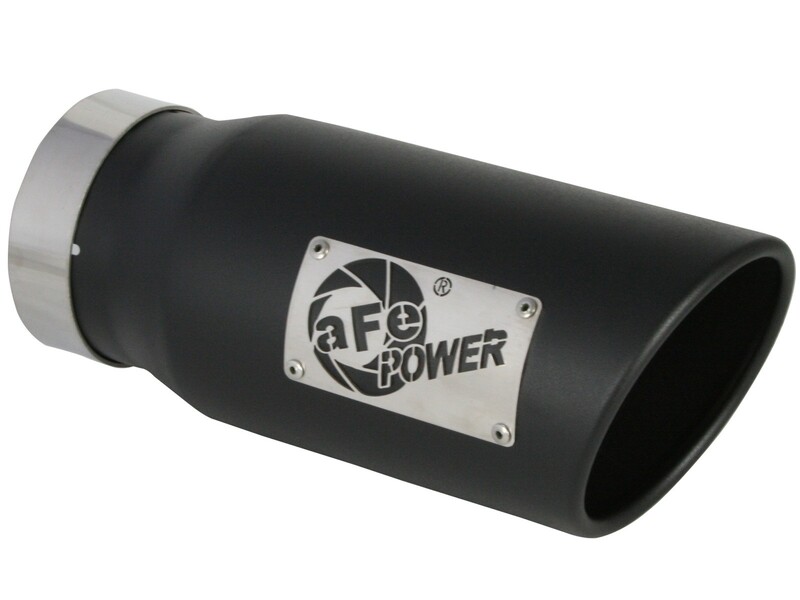 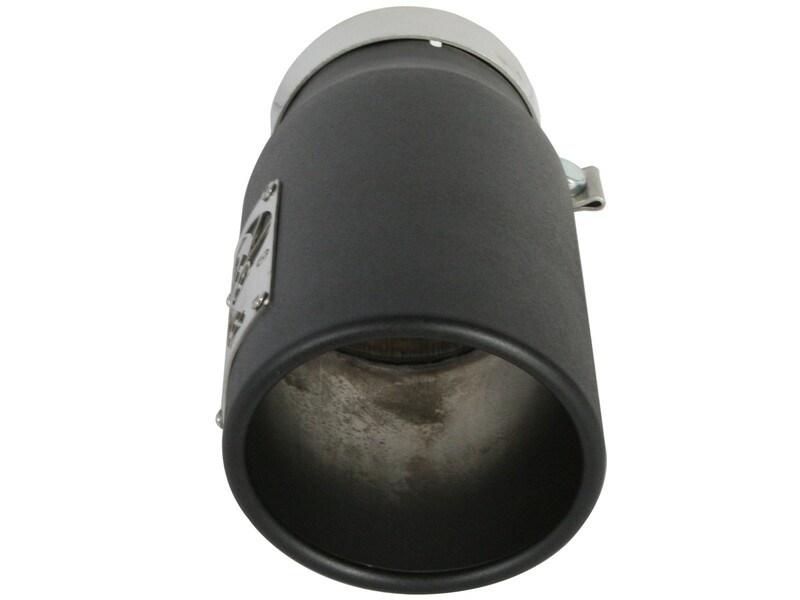 The aFe 409 stainless steel wrinkle black powder-coated exhaust tip is designed to fit 4" exhaust systems. 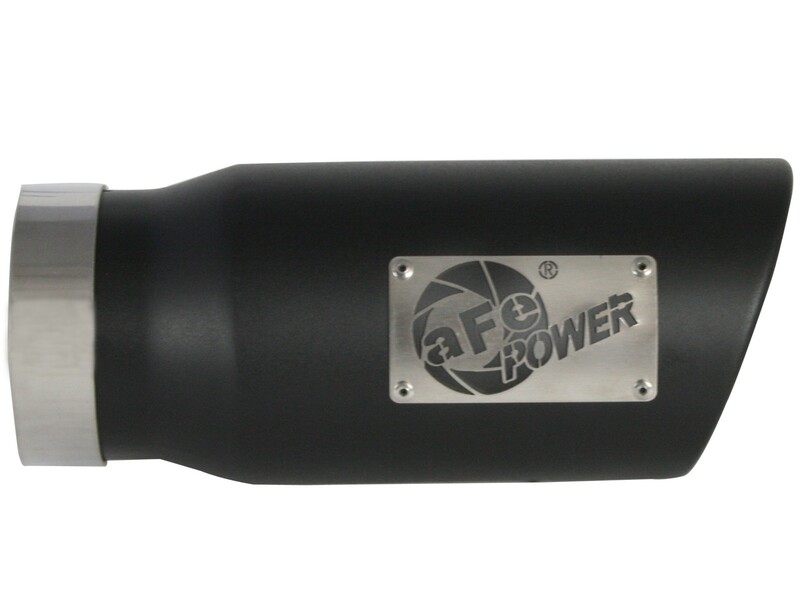 Special high-temp black powder-coating is heat resistant up to 1600 degrees F. A 304 stainless steel band clamp ensures a very secure grip. 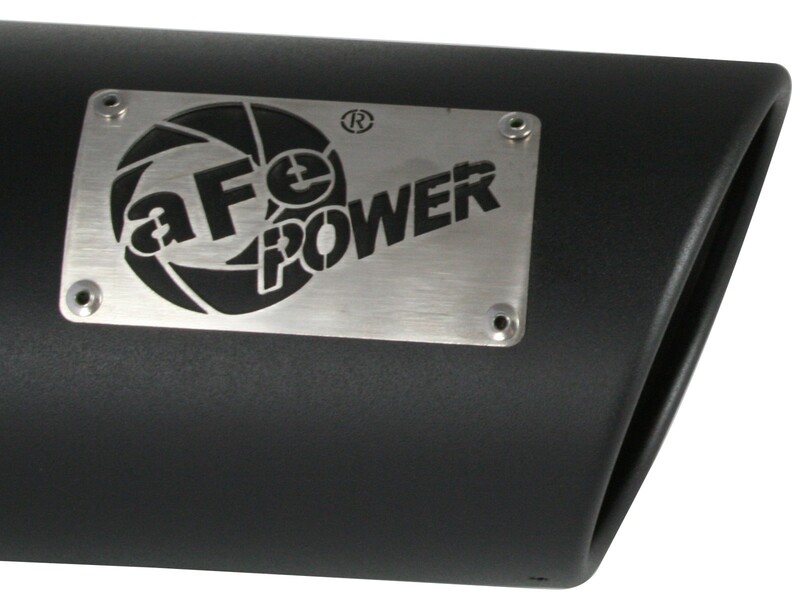 Finally, this exhaust tip features a stainless steel laser-cut logo plate that stands out against the black tip for an aggressive style. 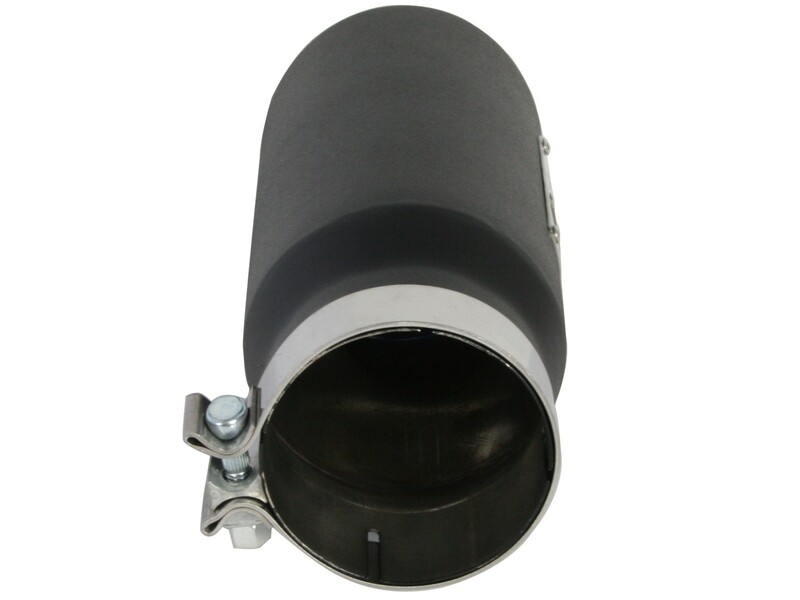 With a 4" inlet, 5" outlet and a 12" inch length, this single-walled, slash cut rolled tip is a nice compliment for any 4" exhaust system.